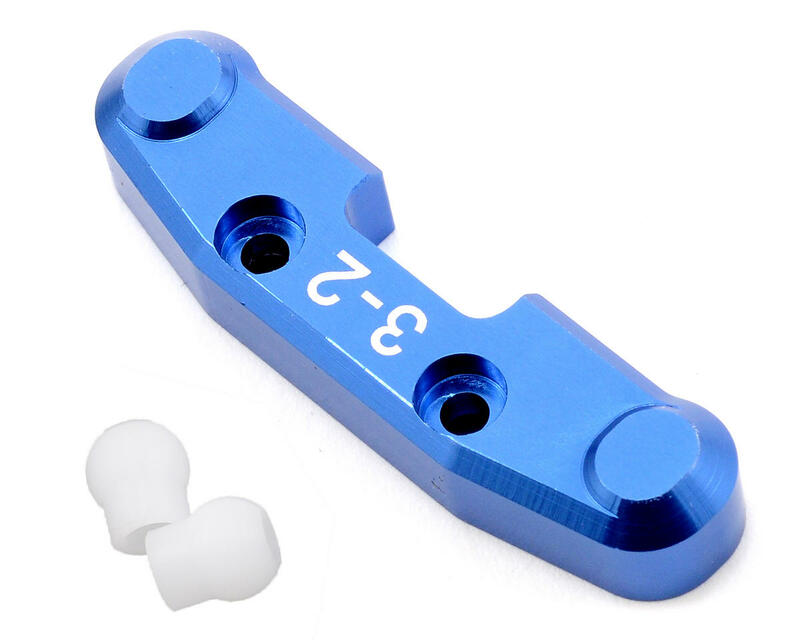 This is an optional ST Racing Concepts CNC Machined Aluminum 3-2 Rear Arm Mount with Delrin Inserts, and is intended for use with the Team Associated SC10 4x4. This rear arm mount will help to improve the durability of the suspension components. 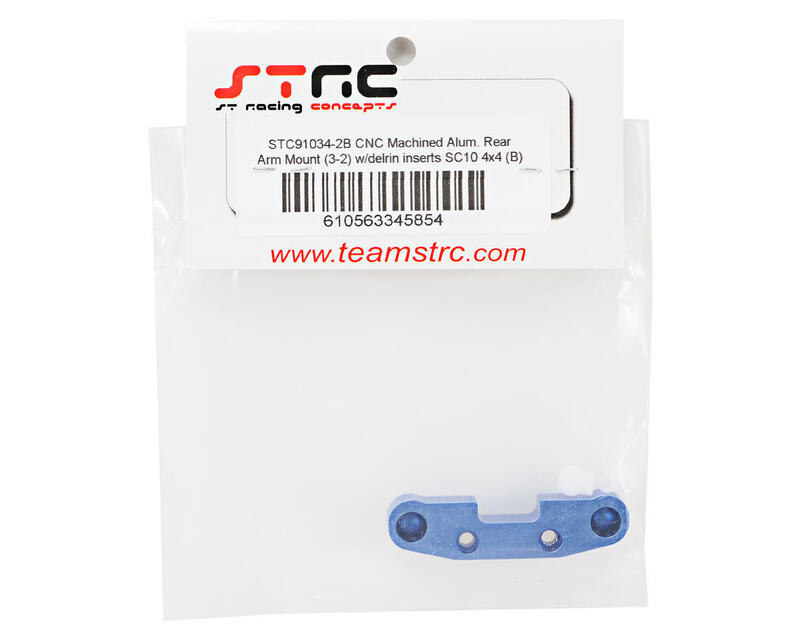 STRC rear arm mounts are available in 3-2 and 3-3 settings and use smooth CNC machined Delrin hinge-pin inserts (also available separately as replacements SPTSTC91034-D) to keep suspension moving smoothly. I just bought and installed this product and the fit and finish is great. I raced over the weekend, and the delrin inserts helped keep the rear suspension nice and loose, no binding from crud getting into the hinge pin retainer.